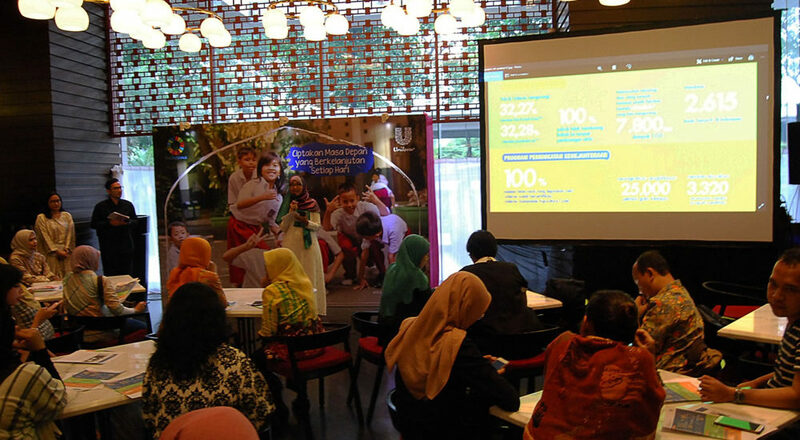 On Thursday, May 31, 2018, Unilever held open fasting event, to commemorate 7 years of Unilever Sustainable Living Plan, in Nouvelle Restaurant, SCBD, South Jakarta. Sinta Kaniawati, GM of Unilever Indonesia, explains that in 2017, Unilever successfully achieved another milestone that had positive impacts in society. Unilever managed to reach 90 million people through Health and Sanitation program, such as Healthy School and Dental Checking program. On environmental issue, Unilever managed to reduce Greenhouse gases intensity and water usage up to 30%. furthermore, All of Unilever’s factories are not deliver their waste to Landfills. Unilever also use CreaSolv, a special kind of plastic that could reduce CO2 effects up to 7.00 tonnes. While in welfare improvement program, Unilever contributes in increasing the living standards of 25.000 Sugar Farmers, and also empowers 3.200 women through training programs.